I am a tremendous Avatar: The Last Airbender cartoon fan. The series was more than just a children’s television show with its adult themes and tribute to Chinese culture. And with likable characters, beautiful animation scenes, and a very intricate and engaging story, its was impossible to not enjoy the three season run of the original series. The story follows the story of a young boy, Aang, who’s destined to be the Avatar, peace keeper of the world, by mastering the four elements: wind, water, earth, and fire. He unfortunately can barely escape his own adolescence and must employ the help of his friends to find his way. I redirect you to the wikipedia article if you’d like further backstory. The series had its closure and marked the end of an amazing show. But with its immense popularity, Nickelodeon had obvious plans for a sequel series. The question at hand would be if it would feature its same characters as older and more developed, or if it would focus on another Avatar, before or after Avatar Aang’s time. In all honesty, the safer route would be to use the same characters already developed and safely liked by audiences and put them in another time to go through more shenanigans. So when Nickelodeon announced that it would take place nearly 100 years after the first series, it was an ambitious move that would have to deal with introducing a familiar setting with completely different characters. Naturally there would be a wave of a devout fans that’re watching every move, making sure they don’t screw up the beloved series. And as a devout fan myself, I have to tip my hats off, because The Legend of Korra is shaping up to be a more complex, more mature, and even more beautiful series than The Last Airbender ever was. Read below on my impressions of the show so far. Aang was a timid and naive pacifist who might’ve been a little too young for the job he had to undertake. 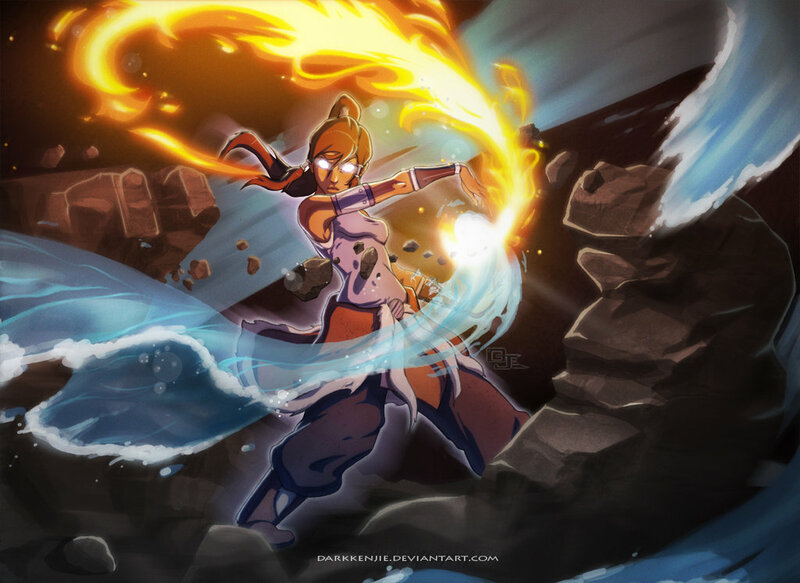 Korra however is a much more mature and fierce Avatar, jumping at the chance for danger. It’s the combination of merits and faults that made both of these Avatars such likable characters. Aang had a very likable childish personality while his faults lied in his inability to take some things seriously and his tendency to run away from confrontation. Korra has a fresh new set of character merits and faults that create a compelling and relatable character. She’s a teenager, so her hormones sometimes make her do stupid things that most teenagers would do, as well as her undeniable charm. She’s also conflicted with fear and insecurity that bring her down to our level. Overall, it’s great that the creators decided to go into another direction with the new Avatar given the multiple different routes they could’ve taken. It’s hard to replace Sokka, Toph, Katara, and even Zuko. They were so well developed for 3 seasons that trying to create new comedic relief would be disastrous if they stepped too closely to the shoes of such greats. But Korra’s new bending squad and the relatives of Toph and Aang are actually comedically and humanistically compelling characters. 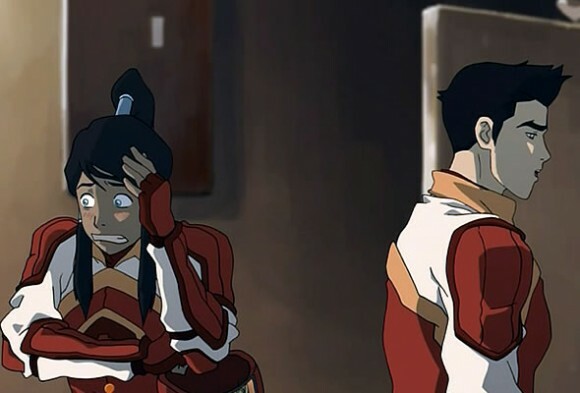 Mako and Bolin are great allies for Korra, both of which have painful pasts of their own. Tenzin [Aangs son] is quickly becoming one of my favorite characters, and Lin is an amazing daughter of Toph. There are also other characters rumored to make their appearances like Aangs other children and any descendants of Sokka as well. Regardless, this show knows how to balance comedy and heart, because so far I’m absolutely loving all these new characters. But there is an undeniable void in the heart that we were unable to see the beloved Team Avatar when they were older. But just recently, Korra’s been having these flashbacks of key scenes from the past. So far we’ve been given glimpses of Aang, Toph, and Sokka. These are the moments where I have to rewind and watch again, because it’s such a pleasure to look at old faces. The creators did a great job of making its audience want more via these flashbacks, because I can’t get enough. Even as I type these works, I’m continually watching the neverending gif of Avatar Aang and Toph and some mystery guy. I’m sure it won’t be long until we see Zuko, or even until when Korra goes into the Avatar State to speak with a grown up Aang. There are snippets of lore and mythology from Avatar: The Last Airbender that have clearly made its way into this series. Like picture above, it looks like the once sacred art of lightning in firebending is now a common practice to most firebenders as they use it as a labor tool. 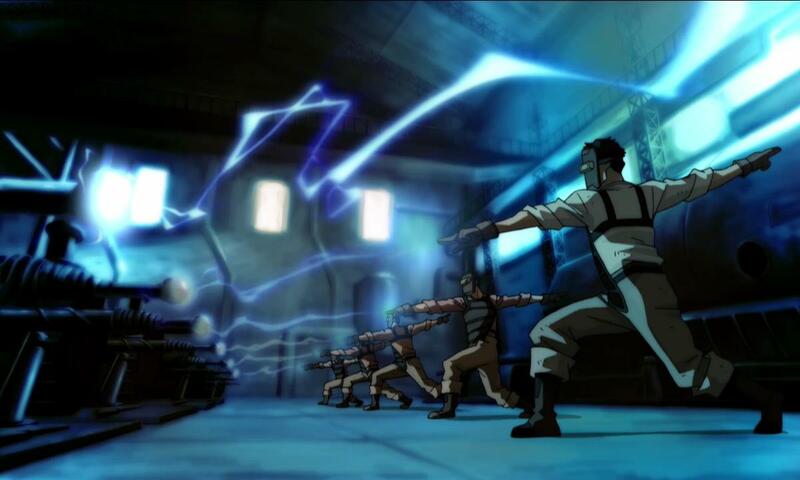 Metalbending is also carried on from the previous series and is used commonly as the police force. Absurd combinations of animals continue like the Polar bear dog and the platypus bear. There’s plenty of little easter eggs like this if you keep your eyes open and I’m sure we’re sure to see more [descendant of cabbage cart guy hopefully] as the series progresses.